Located in the desirable Lexington Oaks Golf Community sits this immaculate home. French double doors welcome you into a grand entryway w/ formal living/dining room to your right. Kitchen boasts 42" wood cabinets, granite countertops, island & desk, and beautiful 'no smudge' stainless steel appliances. It features a new skylight, large pantry & a breakfast bar with enough room for a dinette, making this kitchen perfect for those looking for extra space. The kitchen overlooks the family room w/ sliding glass doors and a beautiful picture window with a conservation view. The split floor plan allows great privacy w/ the master suite on one side & remaining 3 bedrooms on the other. The master suite has a private entrance to the backyard through the sliding glass doors and is large enough for a king size bed. It boasts a large walk-in closet w/ built-in shelving. The master bath has been updated with granite countertops, beautiful cabinetry, and new lighting. 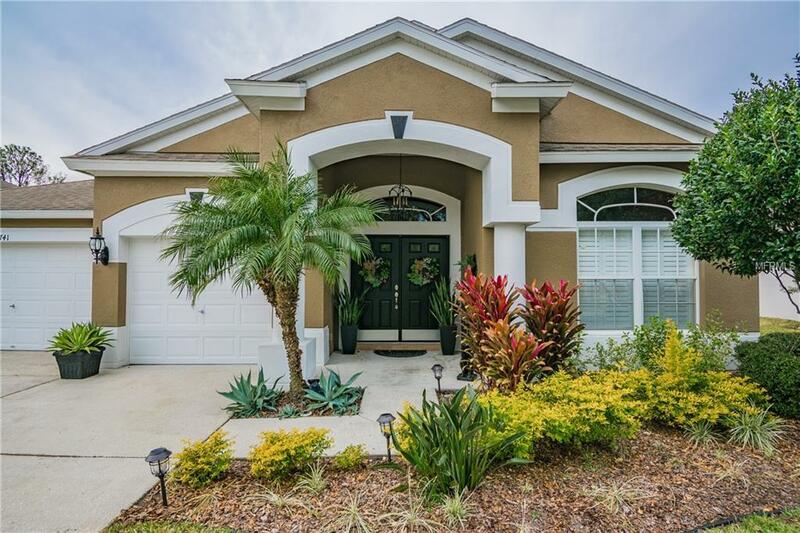 Relax and enjoy the Florida lifestyle in the oversized (16 x 41) lanai w/ pavers, fully fenced and beautifully landscaped yard and conservation view--no neighbors in the rear! Crown molding in formal & living area. Plantation shutters throughout. Temperature controlled attic. New drip irrigation system. Newly painted inside and out. Lexington Oaks is a deed-restricted community wrapped around a well manicured 18-hole golf course teeming with ponds and native plant life and is conveniently located near the interstate, hospitals, restaurants, and shopping.